Five meats. One burger. 100% Boss. Yep. You read that right. FIVE meats. DALLAS, May 21, 2018 – “Great. 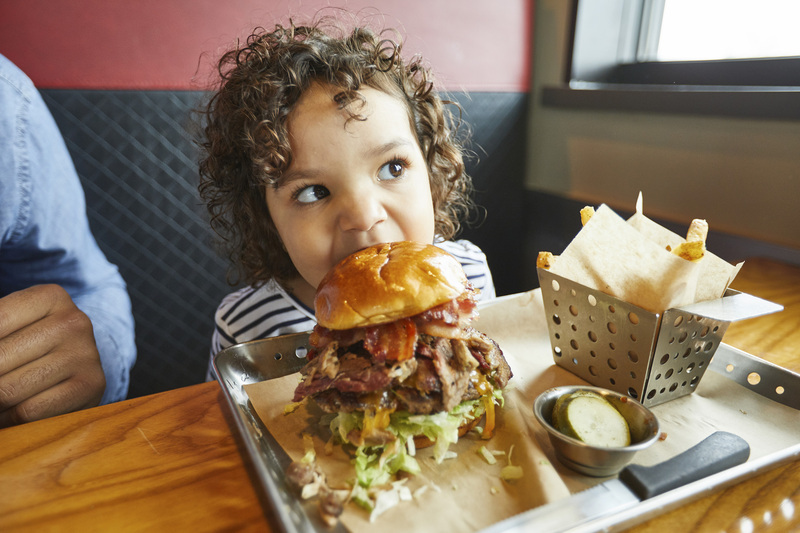 Another burger from another restaurant…what’s new?” says you, the restaurant lover just looking for a delicious meal. 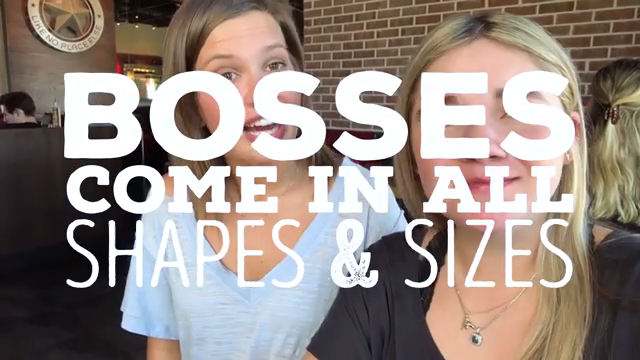 Well, we here at Chili’s® Grill & Bar are here to tell you what’s new. “The Boss” that’s who…er what. For the past month, The Boss was only available in three select cities during test, but now…everyone’s meat dreams have come true. 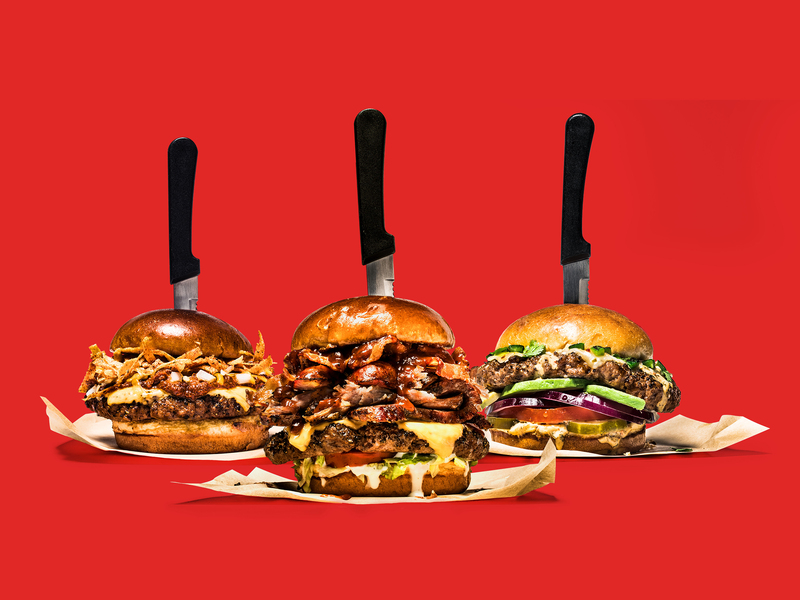 The Boss burger is now available at Chili’s restaurants nationwide. 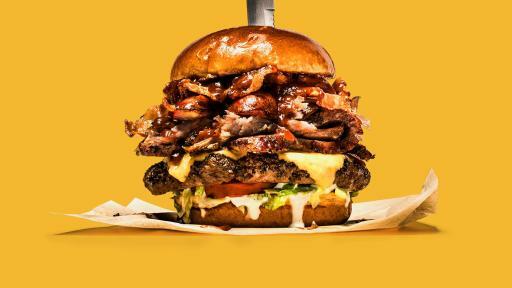 This burger perfectly stacks five meats (yes, FIVE) and high-quality ingredients into one massively delicious burger. This burger is not to be taken lightly. It puts every other burger to shame because frankly, it’s the burger that all other burgers report to. 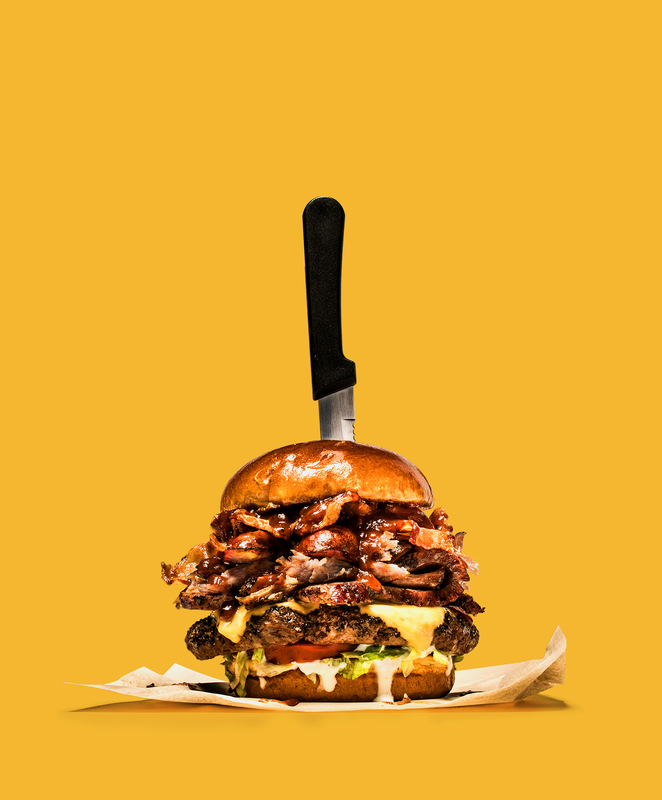 After an overwhelmingly positive response from the test markets and lots of questions of where people could find The Boss to taste for themselves, we decided the nation is ready for this near half-foot stack of meaty goodness. Who are we to deny everyone?! Five meats. One burger. 100% Boss. Still have questions? Yeah, we thought you might, so we tried to read your mind and answer a few below. Why are you innovating with burgers? 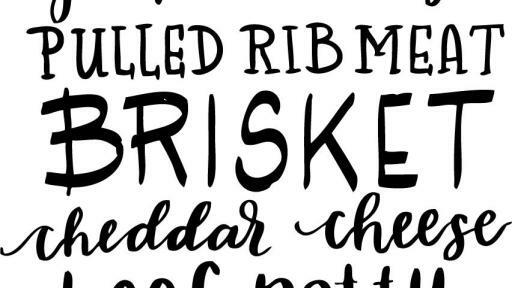 Back in Sept. 2017, we said we’re pulling in the reigns and focusing on what we do best: burgers, ribs and fajitas. First up is burger innovation, but don’t expect us to stop here. Are people actually going to eat this massive burger? Psst…they already are! We’ve been testing The Boss in three markets and reaction has been crazy good! In April, we hosted a #ChilisUnderground event in our Test Kitchen in Dallas and invited an exclusive group to taste as well. See for yourself here. 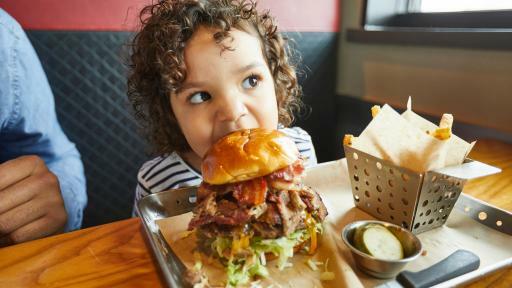 Sooo…exactly how many calories are in this burger? There’s no hiding it, The Boss is ridiculously massive. All in, from bun to bun, you’re looking at 1,650 calories total. This burger is a meal in itself and for some it can be lunch the next day. 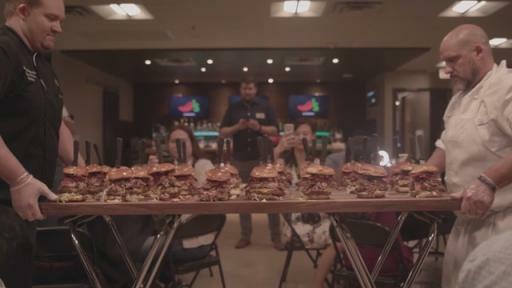 If you have the courage to “conquer The Boss” you have two options – gather your closest friends and family for a Chili’s date to share this beast of a burger or if you’re feeling particularly saucy and are up to the #ChilisBoss challenge then you can try to conquer this thing in one sitting on your own. We’ve been letting our Guests decide. What else can we expect to see from Chili’s? Well, we can’t give away everything. But, we came strong on the burgers. 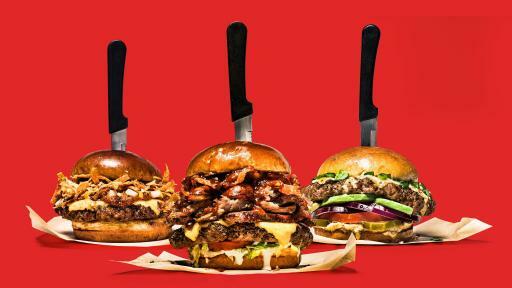 In addition to The Boss, we’re introducing two other burgers Chili’s Chili and Alex’s Santa Fe. Chili’s Chili was on our first menu in 1975 and now it’s back. This burger uses our original 1975 chili recipe. And yes, you should have seen this one coming, because of our name. How do I get my hands on this burger? If you’re brave enough to try and conquer The Boss, visit your local Chili’s and show us what you’re capable of on social with #ChilisBoss. Pic or it didn’t happen. We’ll be watching.